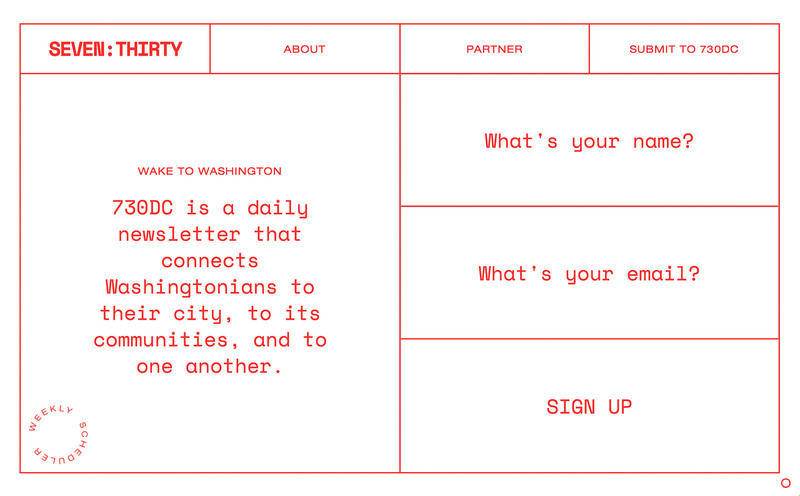 A: Making 730dc a Brutalist website just seemed appropriate. We had designed their visual identity last year, which was inspired by digital alarm clocks— a reference to the fact that their newsletter comes out at 7:30am each morning. Their style also felt like an old HTML website— very bare bones, very quirky, very to-the-point. So when we started building their website, we knew that Brutalism embodied those same qualities. Hyper functional, very stripped down, with some unexpected elements like animation. A: We did! We're a multidisciplinary creative studio called Composite Co.
A: Webflow. It's an amazing tool for us.